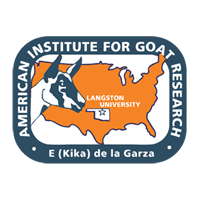 Thirty Boer × Spanish and 29 Spanish wethers were used in a trial to determine the effects of goat breed, supplementation level, and age on the mechanical properties of chrome-tanned and glutaraldehyde-tanned goat skin. Six Boer and five Spanish wethers were harvested at the beginning of the trial with the remaining animals assigned to four groups, having equal breed numbers, receiving either a high or low supplement amount daily. Two groups were harvested after 110 days and the remaining groups after an additional 108 days. Skins were removed by hand, split down the dorsal midline, and salted. The left half of each skin was chrome-tanned and the right half was tanned using a glutaraldehyde based tannage. Tanning goat skins using chromium resulted in stronger leather than that produced using glutaraldehyde. Increasing age led to decreased % elongation and increased leather stiffness. The effects of supplementation level were of lesser importance than tannage or age upon the strength characteristics of leather produced. Boer goat leather was thicker than Spanish goat leather; although tensile strength was unaffected by breed. Goat skins were not shaved to an equal thickness during the tanning process, perhaps leading to some of the breed differences seen, notably in % elongation and fracture energy. Therefore, further research is needed to evaluate characteristics of shaved skins.